Oh ok cool. I've got to physically replace the controller but I'll report late tonight. Good excuse to gaurd my Halloween decorations on this naughty night. My neighbors will probably call the cops seeing me crawling around in the bushes at night. Last time I did this a wasp came back in with me on my pant leg. If they call the cops you have my word that you’re just doing it in the name of science I’d say the same about your wasps, but I don’t think they care. Sad sad news. I forgot how I cut the cables of my power supply. I won't be able connect the controller tonight. It's a shame you didn't make this driver a month and a half ago lol. The H801 is responding now though. Some time after Halloween I'll have to figure out a way to get the power supply back to the stock controller and try it out. I'll be away until the 9th. Once I settle back into home I'll give it a shot. I've been playing around with the updated version, and testing how fast I can get color changes to operate, while I work on it... I think you're really going to like how fast these devices respond! I've been editing 12 devices with different levels of WiFi connectivity, and they're all responding within 1/2s. It's even faster than when I was on Home Assistant OR SmartThings. I'm not sure what kind of wizardry the HE staff has done, but again, I can't vouch enough for them. I'm very excited to try it. Still half a country away until the weekend. I have to fix my power supply connector first... Yuck. Interesting; thank you. I'll take a look into this. 0.71 has been released. It will greatly improve performance, and keeps devices alive in Telnet. The device now auto-polls itself every 150 seconds. If you need it to poll faster, a Rule should be able to take care of that. There's no real reason to poll right now aside from keeping the device connection alive, though. You may need to reboot your hub after installing the devices, to initialize a proper connection. Edit: I did a quick update this morning that will re-initialize a device if you update it. Shouldn't need to reboot with that code. The rest of the devices are to follow. Thanks for sharing this driver; I'm really looking forward to updates to mature it to a full release version. 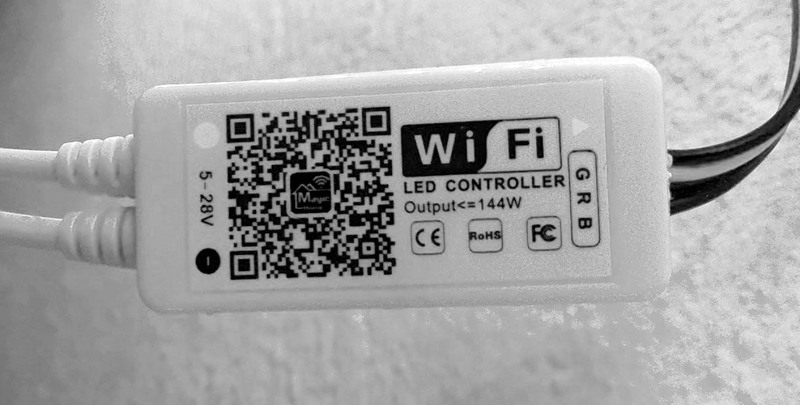 I tried the code from 30 October and it seemed to be mostly working with my H801-based RGBW MagicHome Wifi controller. However, today I updated to the latest code (0.71? ), and was seeing NullPointerException errors. So I removed the Hubitat device and started over again. So the problem is that the socket connection can't be initialized because the main device string is null. I did a quick compare of the code from 30 October and yesterday's release and the method for sending commands is totally different and there wasn't a function to initialize the socket connection. I don't understand where the device string gets established so I'm afraid I can't help beyond reporting this error. If it would help, I'd be happy to test any code changes. Thanks again! Interesting! I actually have one of those devices on-hand ... let me take a look. I forgot to import Socket in that driver. Yesterday was a long day. Updating it in GitHub now. What firmware do you run on the h801? The one I tested is on the stock MagicHome firmware. V4, on that one, I think. So it seems that perhaps the code of the RGB Controller is not on parity with the RGBW Controller code? Something isn't working, anyhow. I'm sorry that I can't be of much more help than that. Thanks again for working on these device handlers!